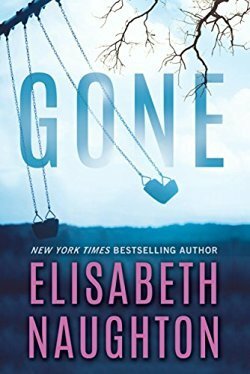 With a second book in this powerful series of uncovered secrets, Elisabeth Naughton brings us the heartbreaking story of a kidnapped child and the fallout for the parents afterward. It’s sad, it’s powerful and it’s intense. Great characters and story line! Alec McClane and Raegan Devereaux were living the happy family life until tragedy took it all away from them over 3 years ago. Their one year old daughter went missing from the park, never to be found and Alec’s guilt ate him alive and made him end their marriage, abandoning Raegan just when she needed him most. More than three long years have passed, and they’ve existed separately, with each still secretly yearning for the other. When the FBI calls each of them notifying them a 4 year old matching their daughters description has been found, they each rush to the scene, only to be heartbroken again when they discover it’s not her. Forced to have contact again after all of these years makes a lot of feelings rise to the surface again. When Raegan stops to look at the details of the little girl that was found, she sees some eerie similarities to other missing children cases. Alec agrees to help her look into it to try to get some closure, but he’s still sure that his evil biological father was behind Emma disappearing, and is sure he killed her just to spite him. Will they find the answers they are searching for?